The sunken English Garden is truly English in every way. Find the gates and you will feel you are stepping into the novel "The Secret Garden." The garden was designed over 100 years ago by the Olmsted Brothers and exists today much as it did in the Thornes’ day. The Olmsted Brothers, lead by stepbrothers John Charles Olmsted and Frederick Law Olmsted, Jr., designed many of Seattle's original parks a hundred years ago. Their father was well-known for designing Central Park and Prospect Park in New York City. 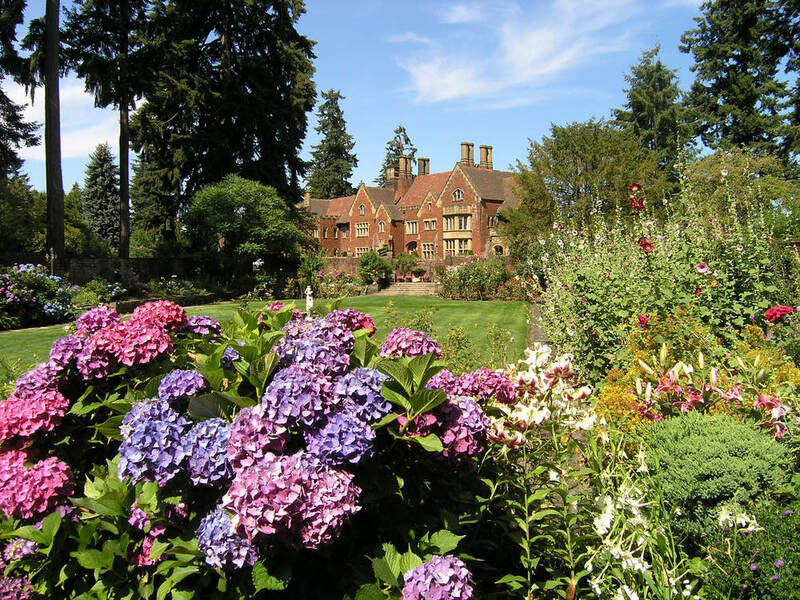 The walled garden is entered through lovely 100 year old wood gates, and a walkway bordered with flowers and shrubs encircles the sunken garden. Steps in the front and back of the garden lead down into the sunken area. The central focus of the sunken garden is the tranquil fountain surrounded by a lush lawn. Many pieces of Thornewood's statuary are found in the garden. The Olmsteds planted wisteria, purple clematis, climbing hydrangea, and pillar roses in this formal English garden. In 1926, The House Beautiful named the gardens one of the five most beautiful in America. It was also named the most beautiful garden in America by the Garden Club of America in 1930. The sunken garden has also been featured in a Smithsonian Heritage exhibit.